On arrival welcome by our representative and transfer to hotel.Overnight at Mumbai. Morning excursion to Elephant Caves (Subject to weather conditions) located 10 km away from the Gateway of India at Mumbai. These caves house rock cut temples dating back to the 5th century CE. This rock cut temples were created by carving out rock, and creating the columns, the internal spaces and the images. The entire temple is akin to a huge sculpture, through whose corridors and chambers one can walk. The entire complex was created through a process of rock removal. 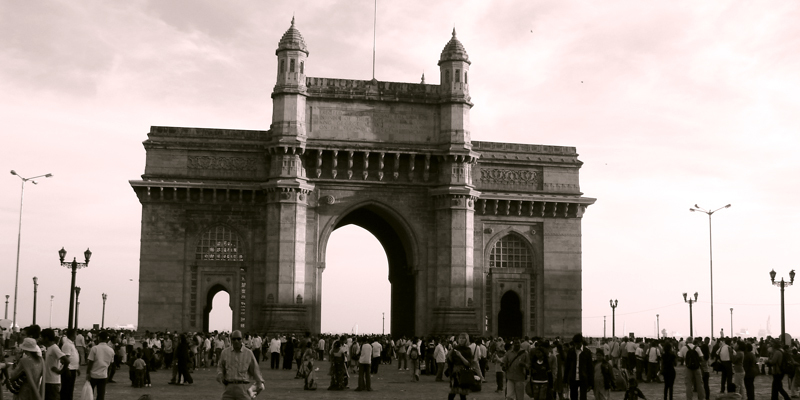 Some of the rock surfaces are highly finished while some are untreated bare rock.Afternoon city tour of Mumbai visit Gateway of India, Nariman point, Marine Drive, Girgaon Chowpati Beach, Kamala Nehru Park, Hanging Garden, Tower of Silence, Prince of Wales Museum, etc.Overnight at Mumbai. Morning transfer to to Airport to connect flight for Aurangabad. On arrival welcome by our representative and transfer to hotel. Afternoon excursion to Ellora Cves. Ellora Caves, Famous for its monumental caves, Ellora are impressive in their own right are the rock cut temples and monasteries. There are 34 cave, actually structures excavated out of the vertical face of the hills, 12 Mahayana Buddhist caves (caves 1-12), 17 Hindu caves (caves 13-29) and 5 caves of the Jain faith (caves 30-34) 22 more caves, dedicated to Lord Shiva, were recently discovered. The Ellora complex is not only a unique artistic creation and a technological exploit but with its sanctuaries devoted to Buddhism, Hinduism and Jainism, it illustrates the spirit of tolerance that was characteristic of ancient India.Overnight stay at Aurangabad. Full Day excursion to Ajanta Caves. The rock-cut caves of Ajanta nestle in a panoramic gap, in the form of a massive horse shoe. Among the finest examples of some of the earliest (from the second century BCE) Buddhist architecture, caves-paintings and sculptures, these caves comprise Chaitya Halls, or shrines, dedicated to Lord Buddha and Viharas, or monasteries, used by Buddhist monks for meditation and the study of Buddhist teachings.Overnight stay at Aurangabad. Morning visit Daultabad Fort, a rock-hewn citadel dominating the landscape, from a 600 feet high mesa-like plateau, is just 13 kilometer away from Aurangabad City. One of the world's best preserved fort of medieval times, surviving virtually unaltered, Daultabad yet displays the character that made it unbeatable. A Fortress that only is occupied by cheating. A series of secret, puzzled, endless passages lie coiled like a python amidst the fort. Afternoon transfer to airport to connect flight for Mumbai. Arrival Mumbai and transfer to Railway station to connect. Arrival Goa. On arrival welcome by our representative and transfer to hotel. Rest of the day at leisure.Overnight stay at Goa. Morning free for personal activities. Afternoon city tour Old Goa, Churches, Calangute beach and Handicarft at Panjim followed by Boat cruise on Mandovi River (Subject to weather conditions).Overnight stay at Goa. Morning at leisure.In time transfer to Airport to connect flight for Mumabi. On arrival transfer to International airport to connect flight for back home.